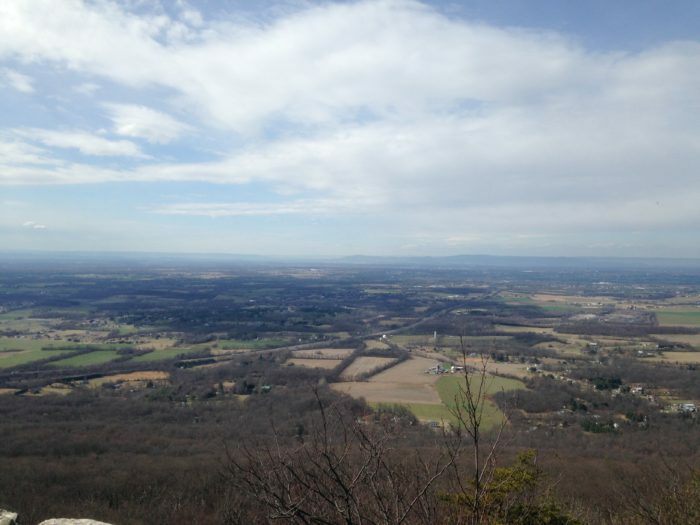 I decided to complete the Maryland section before embarking on my northbound thru-hike. I felt like it would be good training and a good gear shakedown, plus it would be one whole state and about 41 miles under my belt. It did not go exactly as planned. I originally hoped to backpack the entire 41-mile section of Maryland on my own, heading southbound. 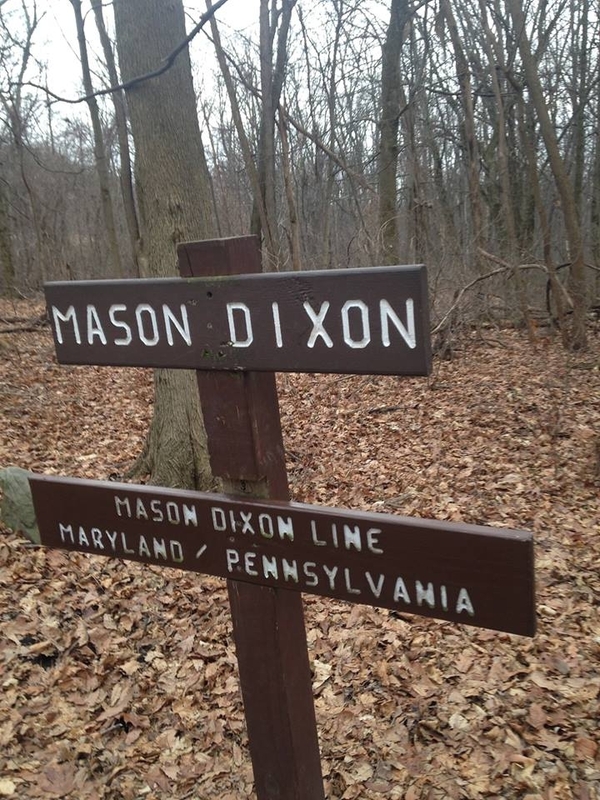 The night before, I went into a panic and ended up standing on the Mason-Dixon Line at about 11 a.m. the following day, too late in the day to hope for a great amount of mileage. I was hoping to make it to the first shelter (Ensign Cowall) about ten miles in, and by late afternoon it was apparent that was not going to pan out. Sign at the Maryland-Pennsylvania border. About an hour from sundown, I got to Antietam Creek. It was very full and extremely cold. The air temperature was around 35 degrees that day, and I can only imagine what the water temperature might have been. I walked up and down the side of the creek trying to find a reasonable spot. I put my foot in on a rock and immediately slid. I knew that water would seep through the lace area of my boots, most likely I would go in well over my ankles, and it was possible I would get completely wet. I watched as another hiker, coming from the opposite direction, fell in completely. After about a half hour of deliberation, I decided to call it quits for the night. About a week later, my good friend agreed to hike the southern half of Maryland with me. 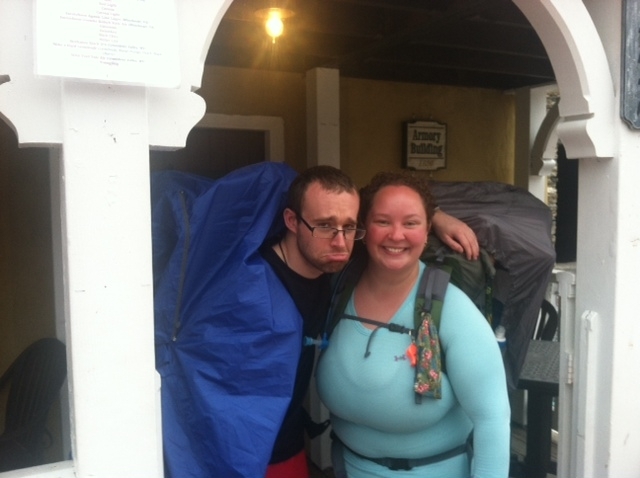 We started at the footbridge and walked 22 miles to Harpers Ferry. We camped for two nights and had the shelters all to ourselves. I saw a lot of Maryland that I hadn’t seen before, and walking through a few familiar places was comforting. Made it to Harpers Ferry! 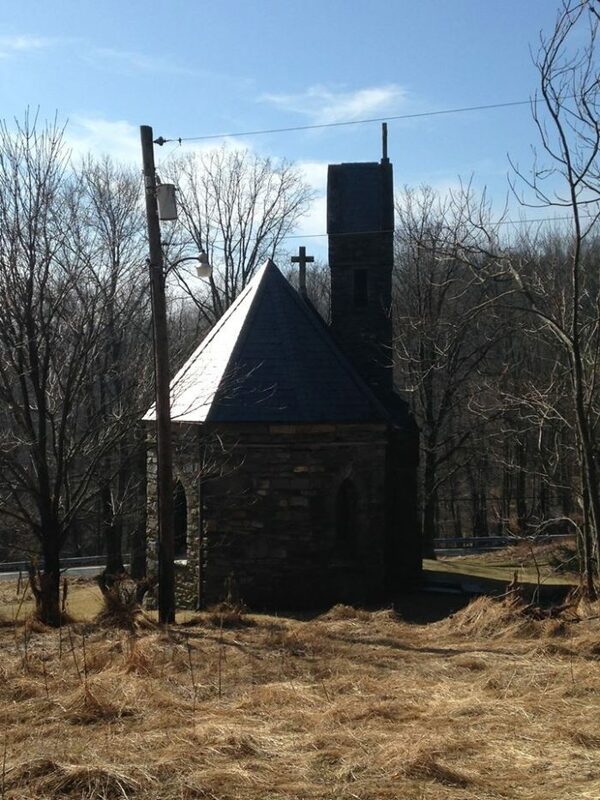 We got to Harpers Ferry on a weekday, and in February that apparently means nearly everything is closed. After trying a few places recommended as hiker friendly and finding nothing open, we ended up at a cute little place called Almost Heaven, and it seemed like almost heaven. They were so friendly (despite the fact that we were disgusting and had giant backpacks), the food was amazing (or maybe it just seemed that way at the time), and we were thrilled to be both sitting and eating. Church across from the South Mountain Inn. The following week I went for the remaining 12 miles. I went back to Antietam Creek and dipped my foot in with only Crocs on. I could not put my foot all the way in. In order to cross at a place where I was unlikely to slip, I had to cross the widest portion, and I would be in the water up to almost my knees. I then tried the next road crossing and was met with a second creek crossing that was very similar. 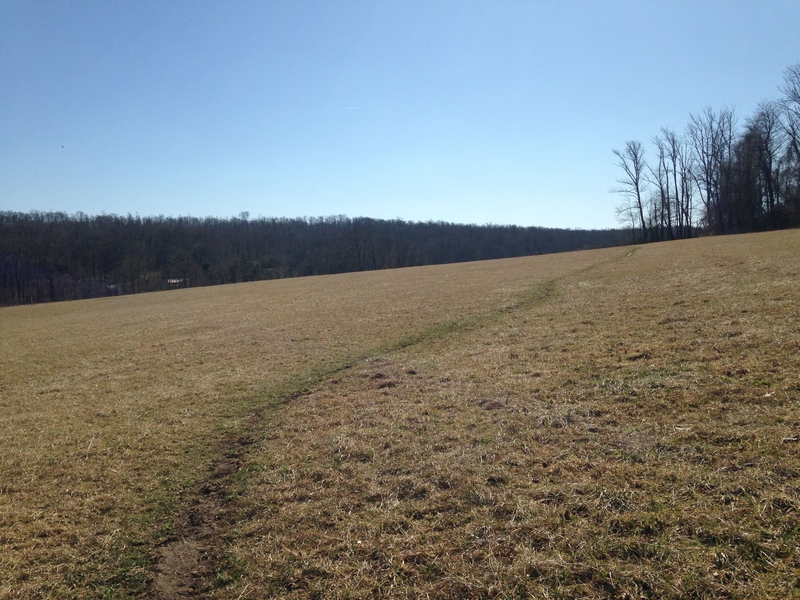 My dad and dog accompanied me for an easy and short mile and a half hike from Foxville Road to Wolfsville Road. The following day I got from Wolfsville back to the footbridge where my friend and I started. In case I lost you, that means I have a teeny tiny section of about two miles in Maryland left to complete. I very much wanted to write a post about having completed my first state on the AT, but I have decided to save this little section with the two creek crossings for the summer (when the water isn’t overflowing and dangerously cold). Believe me, I am rolling my eyes at myself (and the two silly creeks), but waiting until I am back home in Maryland seems like the best option. Field crossings are so beautiful. I am still glad to have 39ish miles behind me and one less state to worry about. I am hoping that when I get to Springer (very soon) I will still feel those miles behind me, completed, pushing me forward. Thank you! It was so good to see you in Franklin! I am still going 🙂 it seems I have gotten out of my funk now that I’m hiking with some cool people!